There are 629 districts, 2,252 public schools, and 531 charter schools in Arizona serving 1,080,319 students. 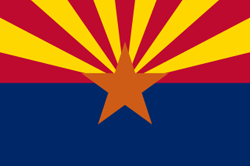 Financially the state of Arizona spends approximately $9,111 per student. There are 50,800 full-time teachers receiving a total of $3,256,512,906 in salaries and $770,956,721 in total benefits. 392,245 students receive a free lunch and 119,640 receive a reduced-price lunch. Taylor Teec Nos Pos Teec Nos Pos.